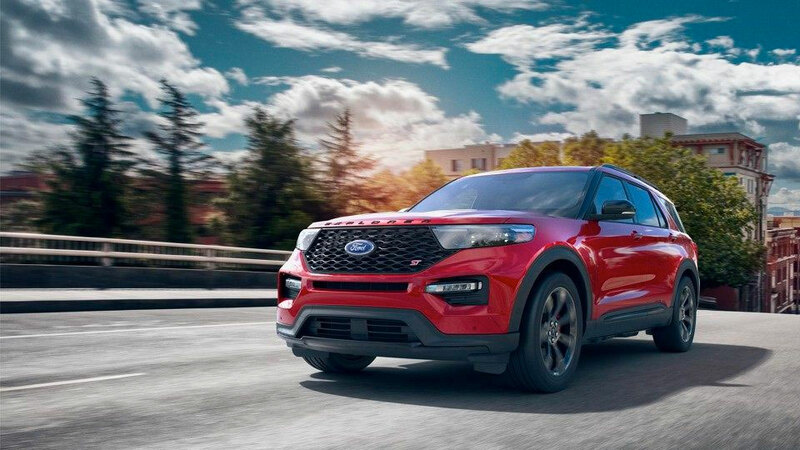 Completely redesigned for the 2020 model year, Ford’s long-standing Explorer model looks to both extend its share of the SUV segment, while also offering more room, more technology, and more capability. To learn more about the all new Explorer, available at Abbotsford, BC’s Magnuson Ford, read on. The 2020 Explorer has been completely redesigned, from the exterior to the interior to what’s under the hood. Starting with the exterior, the Explorer now sports more athletic lines, and a more aggressive stance. The interior has been upgraded for an ergonomic and driver-friendly experience, though the EZ-Entry captain’s chairs in the second row provide a great deal of comfort for your passengers as well. Added legroom for the second and third row do not come at the expense of cargo capacity, as the 2020 Explorer offers more cargo room than any Explorer that came before. The technology has been upgraded as well, with SYNC 3 found standard on all models—and a unique 10.1-inch touchscreen gracing the centre stack of higher trim levels. 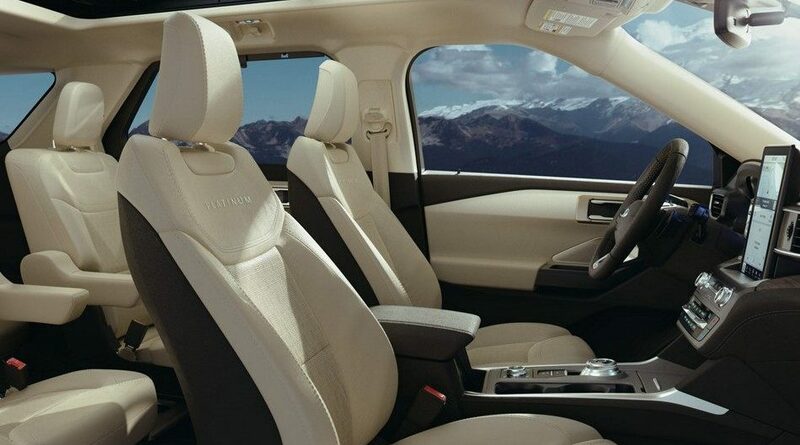 A blend of comfort and intuition, the 2020 Explorer’s interior is the best one yet! Rotary dials allow you to change gears or shift modes in Ford’s Terrain Management System with unparalleled ease. As spacious as it is good looking, the 2020 Explorer has fold-flat captain’s chairs in the second row as well as optional third-row fold-flat bench seating, which create an amazing 2,486 litres of interior cargo space—not to mention it’s wide enough to handle standard 1.2 metre building materials. Of course, if you’re hauling people and not items, the 123 litres of stowage space in the cabin provide lots of space for snacks and other road trip essentials. 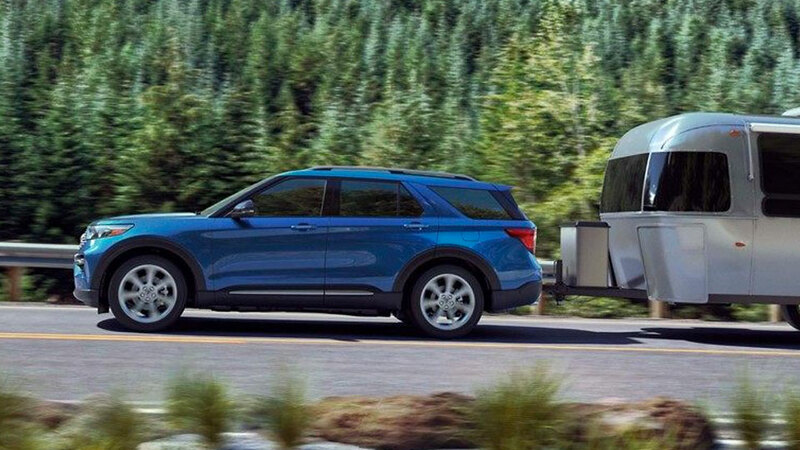 Beyond refreshed looks and comfort, the 2020 Ford Explorer builds upon its long heritage of being a “Built Ford Tough” SUV. A turbocharged 2.3L 4-cylinder EcoBoost® engine provides plenty of horsepower and towing capability, to the tune of 2,404 kilograms (over 1,000 kg more than the 2019 model), while the 3.0L turbo EcoBoost® V6 engine also available brings 365 horses and over 2,500 kilograms of towing capability to the party. Either engine will match beautifully to Ford’s 10-speed automatic transmission, providing smooth acceleration and excellent fuel economy. Harness that power through Ford’s Terrain Management System™, boasting seven different drive modes to help you tackle any terrain. If you’re interested in the 2020 Ford Explorer, then contact us at Magnuson Ford—Abbotsford’s preferred Ford dealer—and we’ll let you know when the smartly redesigned SUV touches down on our lot!